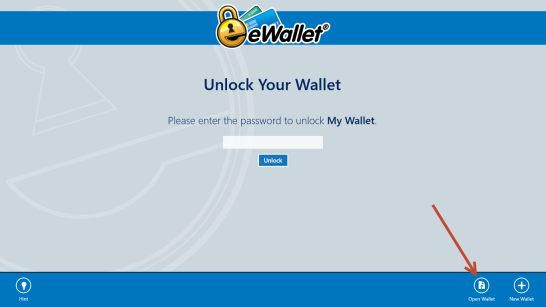 So you just got a brand new Windows 8 slate/tablet, you installed the Windows 8 version of eWallet® and now how do you get your eWallet data to your device? There are a few options here for moving data from another PC (for example your laptop running Windows 7) to your new Windows 8 device: using the built-in Windows Networking or Dropbox. Of course with anything on a computer, make sure you backup your important data. The Windows Networking option is fairly straightforward: Make sure the folder you want to use on your device is shared, and then you can either just copy the eWallet data file from your PC to the shared folder, or setup the folder as a sync location. 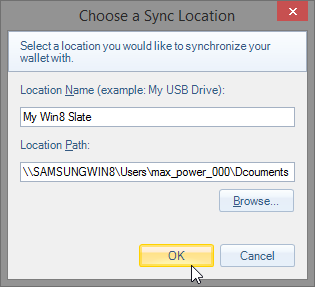 To setup the folder as a sync location, you'd start up eWallet for Windows PC, go to Sync Manager, Press Add then select Other Sync (see below), then Folder. Next, enter a name and path to your device, press OK, and you should be able to sync to your device. Just make sure both devices aren't trying to change the wallet at the same time. 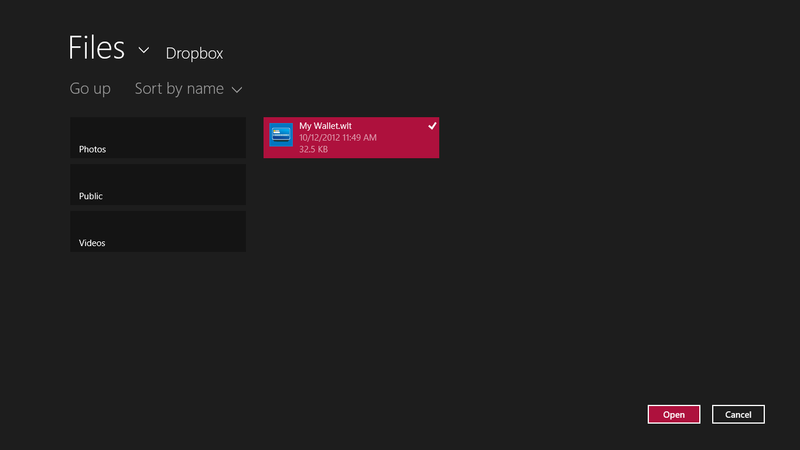 Another option for getting eWallet data onto your device is to use Dropbox. You can install Dropbox on the Desktop side of your Windows 8 device as well as on your Windows 7 laptop, and then use Dropbox's ability to keep the folders in sync between the two devices. On the Windows 8 side, start eWallet then press Open Wallet in the app bar area at the bottom of the screen (see screen shots below). Next, navigate to your Dropbox folder (it's usually at the same level as My Documents) and select your wallet. 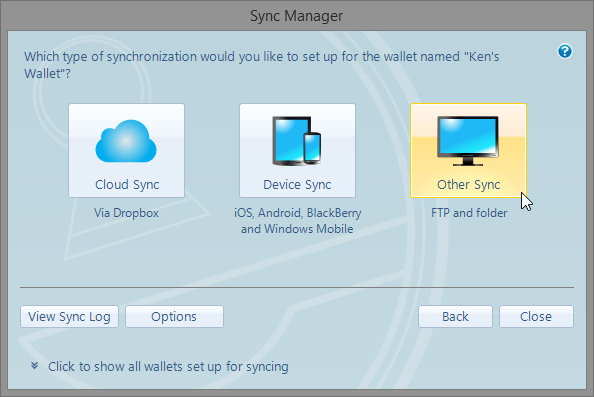 If you're looking to sync eWallet for Windows 8 to other devices such as mobile phones, that's one of the things were looking at right now. 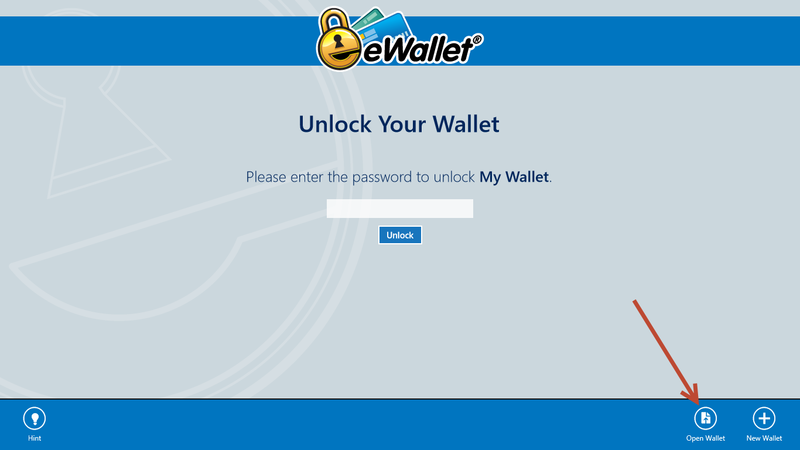 In the meantime, if you already have eWallet for Windows PC, you should be able to use it (on a non-ARM) slate to synchronize to your mobile devices.